According to Forrester Research, advertisers spent just under $400 million on mobile marketing in 2009. Projections for 2010 place that figure well above $550 million. And by 2014, Forrester estimates that mobile will claim upwards of $1.3 billion from the advertising pie. But while mobile marketing as a whole remains on a steady path to integration with virtually every contemporary marketing campaign of businesses large and small, the evolution of location-based mobile marketing could very well be pushing ahead even faster than many realize. Murky or not, the waters of location-based marketing are now populated by no shortage of companies eager to capitalize on the “nascent” opportunities at hand. Last year, Burger King and Subaru received widespread attention in response to their successful location-based marketing endeavors. Already in 2010, an array of big labels and prominent brands have similarly dabbled in location-based marketing – most recently, The North Face. The trendy maker of outdoor apparel and gear will target text messages to potential customers (in New York, San Francisco, Seattle and Boston) in close proximity to a store carrying North Face products. As a result, “geo-fencing” is a term that more advertisers than ever will soon become familiar with. While still not as commonplace as, say, outdoor billboard advertising, companies are hungrier than ever for vital data about current and prospective customers – something billboards can’t collect, analyze, and convert into sales. 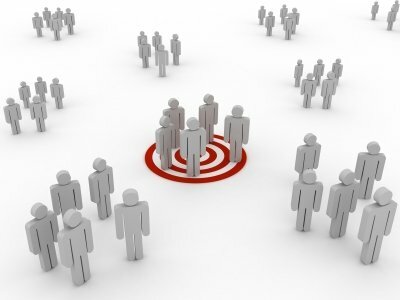 Whether its collected by GPS, mobile carrier, cell tower triangulation, or personally provided by customers via an interactive campaign, the most successful mobile marketing campaigns of the future will likely be those that deliver the message of a campaign to consumers already close to the point of sale or the store in which the purchase can be made. In this regard, there could very well be no more effective marketing tool in the coming decade than a well-structured location-based mobile marketing campaign.